Do you want to show your flat on American Television or are you an expat and do you want to be on tv – let us know! Below you can find an episode of HHI :-). How do expats integrate in Belgium? St. John’s International School conducted a survey with expats who used to live in Belgium, to understand what they did to integrate while they lived in the country. The respondents were given 7 options, as well as the option to fill in their own response. Respondents were also asked what they would change if they could be an expat in Belgium again. These responses seem to indicate that some expats may only realize the full extent of the expat assignment after their return home. If you would like to find out more about St. Johns International School you can go visit the school on Sunday May 10th for the Community day and Family Day. If you would like to receive more information or if you want assistance in your school search please contact me. When you need a break from the city and you want some fresh air or to relax at the beach on a sunny day, it’s a short ride from anywhere in Belgium to the coast, for instance to Knokke. From Easter onwards, beach bars with sun beds are installed on the beach and attract many people for a day or a weekend. You can also go for a long walk or biking tour in ‘het Zwin’, a large nature reserve. You can easily rent bikes in Knokke so you don’t need to bring your bike along. If you want to try the famous Belgian waffles and your children want to burn some energy on the playground, Marie Siska (www.siska-marie.com) is highly recommended. In the evening, there are many nice restaurants, with plenty of choice for food, from ‘moules frites’ (mussels with fries) to steak. You will always find good food in good servings in Belgium. And if you are still up for more you can check out the Knokke nightlife. You can go to the casino, the Kitsch Club, Knokke Out or for instance The Pharmacy, Knokke’s newest cocktail bar. During summer many events take place in Knokke, such as the Scapa Beach Polo and BBQ, Nacht Van t’ Zoute, Zoute Rally and so much more. Knokke is definitely a recommended destination during the summer. If you want to stay for the weekend or for a summer holiday, there are many hotels and B&B’s you can choose from. From Antwerp: Knokke is 91 km away from Antwerp. You can take the express road by car (1h – 1h15) or you can take the train (2h). From Brussels: Knokke is 110 km away from Brussels. By car, it’s a 1h20-1h40 drive, taking the E40 and the express road. You can also take the train (1h40). If you wish to escape the hubbub of the city without leaving the outskirts, the ‘Bois de la Cambre’ (French) or ‘Kamerbos’ (Dutch) is a perfect solution. Located at the entrance to the Forêt de Soignes, this large park is part vast plains, part forest, and it is a favorite among Brussels denizens, as it caters to many needs. Those seeking to escape the busy streets and looking for fresh air can use the large grounds as a place to relax or, alternatively, go for a run, bike ride or hike. It is also the ideal location for dog owners to bring their animal company, whether on a leash or not. Happy dogs playing and running around freely are a common sight at the ‘Bois’. In the sunny parts of summer, it is a choice destination for a picnic with family or friends. We are also planning an Easter Sunday brunch at the bois. In the middle of the park is a small lake with an island, on which the very nice Chalet Robinson restaurant is located. This restaurant, which can be rented out for group activities as well, also offers the possibility for visitors to rent an outdoors lounging chair when the sun is out. As you can imagine, this option is extremely popular for sunbathing. Finally, pleasure-seekers can also rent boats in the summer for a tour of the lake. New York connaisseurs may notice that the boats are identical to the famous boats of Central Park. All in all, the Bois de la Cambre is a wonderful place to escape city life, even for a few hours. Perhaps a destination for you, the next time the sun shines on Brussels during the weekend? If this is not your kind of activity, or if you feel lonely in Brussels, be sure to look at expat groups in Brussels such as the American Women’s club of Brussels (www.awcb.org) or Brussels Expats (www.internations.org), many of which organise activities in the Bois de la Cambre during sunny periods. Brussels (French: Bruxelles, Dutch: Brussel), officially the Brussels-Capital Region, is the capital and largest city of Belgium and the de facto capital of the European Union (EU). Brussels has grown from a 10th-century fortress town founded by a descendant of Charlemagne to a sizeable city, with a population of 1.2 million and a metropolitan area with a population of over 1.8 million, both of them the largest in Belgium. It comprises 19 municipalities, including the municipality of the City of Brussels. Since the end of the Second World War, Brussels has been a major center for international politics. 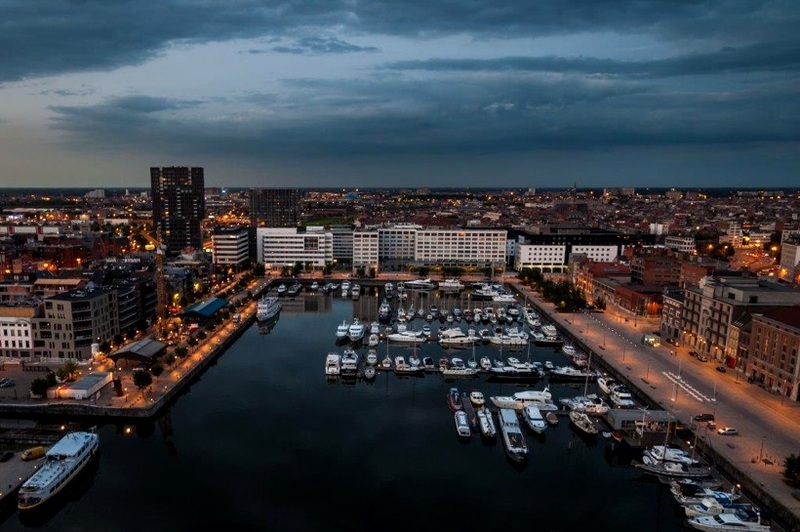 Hosting most of the EU institutions, the secretariat of the Benelux and the headquarters of the North Atlantic Treaty Organization (NATO), the city has become the multilingual home for numerous international organisations, politicians, diplomats and civil servants. Brussels is known for its local waffle, its chocolate, its French fries (frites) and its numerous kinds of beers. Based on personal experience, many individuals come to Brussels on a fixed-term contract and end up staying there or close to Brussels for several decades, due to its food, standards of living and general feel. For an account of an expat who has recently moved to Brussels, you can read Melissa Krenz’s blog on life in Brussels. Antwerp (Antwerpen in Dutch) is the largest city in the North of Belgium, with 510 000 inhabitants of almost 170 different nationalities. It is a vibrant city that welcomes both multinationals and start-ups, one that caters to young professionals and family life alike. The city is located close to the river called ‘de Schelde’ and features the second-largest port of Europe (Rotterdam being the largest). The Antwerp airport (Deurne Airport, www.antwerp-airport.be) is located only 7 km from the city center. Antwerp is also famous for its important diamond business. Antwerp is situated at a crossroads of motorways and prides itself on a modern railway network, which extends to the center of the city. The city also has an extensive network of tram and bus lines. Antwerp is the capital of the state of Antwerp. The city center contains the districts of the Grote markt, Zuid, Eilandje, Ossenmarkt and Stadswaag. In addition the city has suburbs as Berchem, Borgerhout, Deurne, Ekeren, Hoboken, Merksem and Wilrijk. A little outside you also have suburbs as Braschaat, Kappellen, etc. Many of these suburbs have increased in popularity over the past few years, as an increasing number of young professionals and young families have chosen to call them their home. The official language is Dutch (Flemish), but thanks to their education and the influence of English-speaking culture, most Antwerp residents have a strong command of the English language. Belgium is a small country, and most places are less than an hour’s drive away from the center (Brussels, the capital). For instance, you can live in Antwerp and commute to Brussels (by train or by car) if you so desire. There are different official languages depending on the region. Despite its small size, Belgium has three official languages: French, Dutch and German. French is spoken in Brussels and Wallonia (roughly speaking the South), Dutch is spoken in Brussels and in Flanders (the North) and German is spoken in a small region by the border with Germany (in the East). Despite the differences in official languages, most people understand at least a bit of English. Brussels and Antwerp are very international and cosmopolitan cities, and you can get around with English in most circumstances. Beyond that, Flanders is your best bet if you want to be understood, as most Flemish people are highly proficient in English.